Steel is one of the most cost-effective building materials being used today. This is because steel can easily be mass-produced, refined, and molded for specific applications. The construction industry has benefitted tremendously from steel, with applications ranging from tools to building materials. With the advent of prefab steel buildings in popular markets, business and homeowners can also directly benefit from steel’s amazing properties. 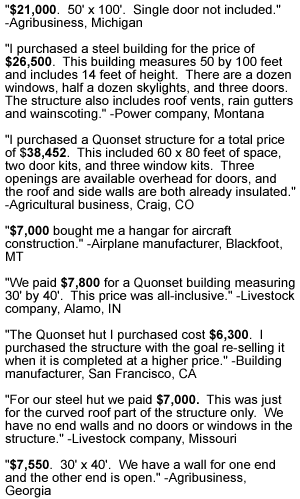 One of the best proofs of this is a comparison between steel building prices and cost of maintenance versus other building materials. To help compare prefab steel buildings prices with other building materials, consider two other popular choices: cinder-block and wood frame. These 3 types of building materials have various advantages and disadvantages, and the choice rests ultimately on you as the building owner. A cinder block building is made of concrete or cement blocks. Cinder blocks are very tough materials that can withstand heavy loads. They are mostly used as building foundations to better reinforce the lower building levels. People who live in areas that have a hot and humid climate usually use cinder blocks because it does not trap heat inside buildings. But its poor insulation can be detrimental for areas that experience cooler climates. Plain cinder block buildings may also be solid, but its rigidity makes it brittle and dangerous to use as the height of the building increases. A wood frame building is the common choice for building construction regardless of climate. Wood frame buildings are highly functional too. Insulation, electric wiring and plumbing are easier to install in wood frame buildings compared to cinder blocks because the frames provide space for these interior trims. However, wood is highly prone to damage. Water, animals, insects, plants and fungi can weaken the stability of wood. Compared to cinder blocks, wood also deteriorates faster in certain conditions. Wood is also highly flammable. 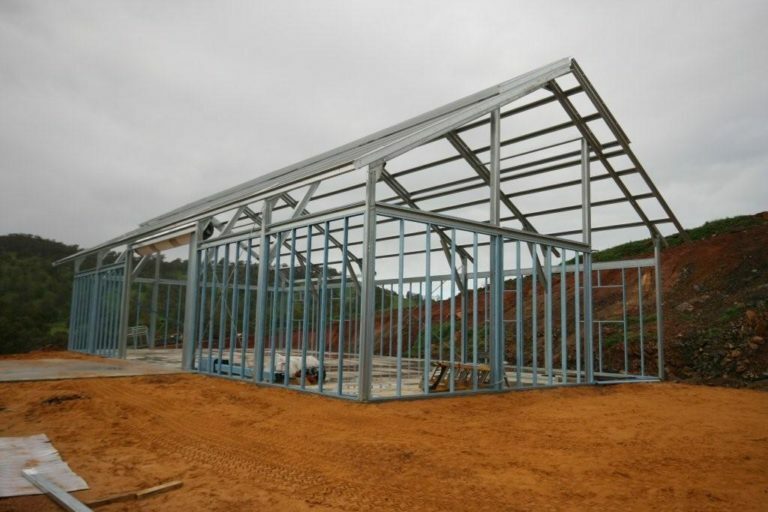 Prefab steel buildings are commonly used for storage purposes. The versatility of steel makes it possible for it to take on unique shapes. Its simple framing system also means that 100% of the enclosure can be used. Natural ventilation and lighting can be achieved through steel. Out of the three materials, steel is also the most light, allowing for faster construction and easier transportation. Steel is fire and pest resistant, and highly watertight. However, steel can easily store and transfer heat inside the building. Although the pros and cons of the material make choosing more difficult, local conditions and add-on features for each type can help counterbalance their weaknesses. Combinations of these materials are also available (ex. steel and wood frame, and concrete and reinforced steel) to bring out specific qualities for your building. But one of the best ways to choose is to consider your budget. Once you do, you’ll find out why steel is the best choice. Specific costs are difficult to pin down, especially since local demands and additional features are changeable depending on specifications and conditions. But to get a rough estimate, cinderblock, wood frames and steel can cost $5-$15. At this level, there isn’t really much difference among the three types. Some would even argue that cinderblock and wood frame relatively cost less compared to steel. But when buying steel, steel building prices already consider the qualities of steel. With cinderblocks and wood frame, you’ll get the basics but not necessarily the advantages. And once you add in the costs for insulation, ventilation, electrical, plumbing, and labor, the price starts to stack up as the size increases. This is where price difference becomes clearer. The prices for cinderblock and wood frames leaps forward as these extra costs are added to the basic value per square foot. In comparison, steel building prices move at a slow crawl after these two materials. When working with cinderblock, wood frame or steel, you can find that steel is also generally easier to put up. Labor is not an issue when working with steel, and costs for it can be scaled down or disregarded. 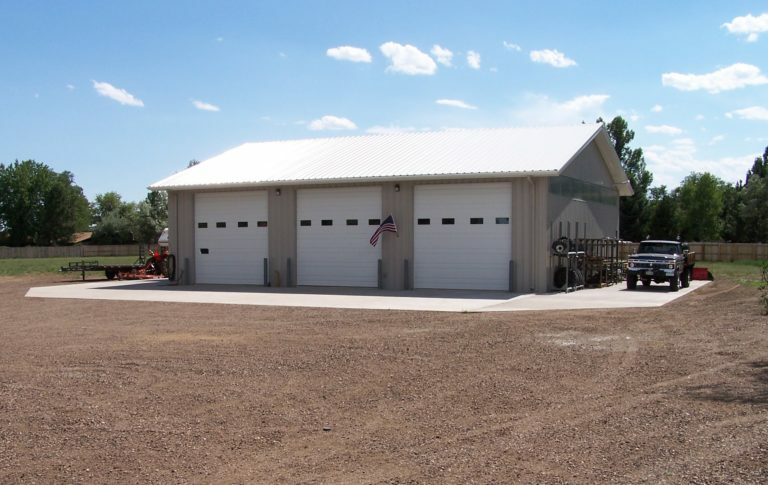 While initial prefab steel buildings prices of the two are highly flexible compared to initial steel building prices, costs in the long run for steel building prices remain relatively consistent compared to cinderblock and wood frame. This is where the advantages of each should be weighed in. Long term maintenance for prefab steel buildings is not a problem. In contrast, wood frame buildings need constant maintenance checks for damages while cinderblocks should be checked for cracks and weak hotspots. This means that steel building prices can definitely be scaled down after removing extra maintenance costs from the list. Insurance is another big factor to consider: the more structurally sound your building is, the greater your chances to get a good insurance quote. When settling for a building material, it is crucial to consider not only the initial cost. More often, the long-term cost of maintenance can greatly affect the worth of a property investment.